It starts shooting in June and Rockwell, who can currently be seen in Iron Man 2 as Justin Hammer, will be joining Daniel Craig, Olivia Wilde and Harrison Ford. Rockwell will play a bar owner named Doc who joins in the pursuit of the aliens. Once Favreau and the writers — Alex Kurtzman, Roberto Orci and Damon Lindelof — learned that Rockwell was interested in the movie, they reconceived and expanded the role, which initially called for a heavy-set man. Rockwell’s previous experience with Westerns was in 2007’s The Assassination of Jesse James by the Coward Robert Ford. I’m made up Rockwell will be in this sci-fi Western as I think he is a brilliant actor. From Lawn Dogs, Galaxy Quest through Charlie’s Angels Confessions of a Dangerous Mind, Moon and more he is always great to watch. 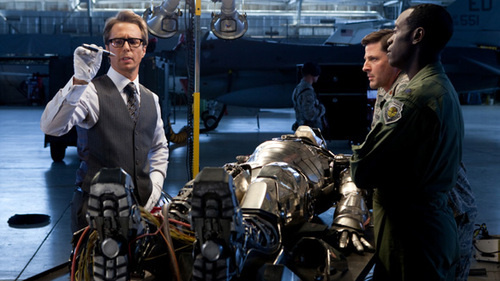 Some new photos from Jon Favreau’s Iron Man 2. I think they are new anyway they look cool. Iron Man 2 – New trailer. They’ve got the briefcase suit! 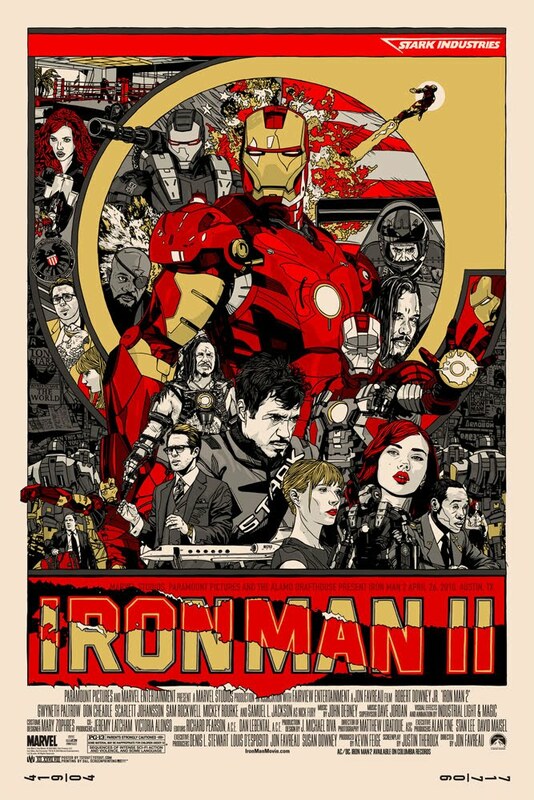 More Downey Jr as Stark, more Rourke as Whiplash, more Cheadle as War Machine, more Johansson as Black Widow, more suits, more robots and it just looks awesome. Paramount Pictures and Marvel Entertainment present the highly anticipated sequel to the blockbuster film based on the legendary Marvel Super Hero Iron Man, reuniting director Jon Favreau and Oscar® nominee Robert Downey Jr. 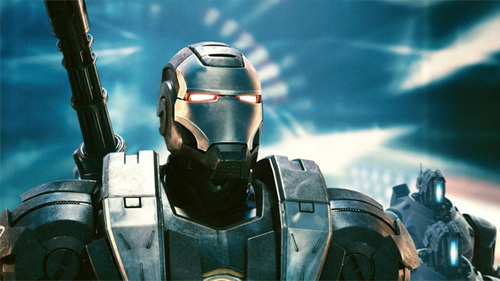 In Iron Man 2, the world is aware that billionaire inventor Tony Stark (Robert Downey Jr.) is the armored Super Hero Iron Man. Under pressure from the government, the press and the public to share his technology with the military, Tony is unwilling to divulge the secrets behind the Iron Man armor because he fears the information will slip into the wrong hands. With Pepper Potts (Gwyneth Paltrow), and James Rhodey Rhodes (Don Cheadle) at his side, Tony forges new alliances and confronts powerful new forces. Due out on 7th May 2010. Wanted was a huge success for Universal. A great big messy film that was fun yet flawed, but could have been so much more. Obviously a sequel has been in the running for a while now and Angelina Jolie had been attached (despite what happened to her in the first film). Now she has pulled out of the Timur Bekmambetovdirected sequel and so the studio have pulled the plug. What will she do instead? Well she is currently filming The Tourist with Johnny Depp, but acording to Vulture she has signed up for Warner Bros.’ Gravity. This is an intriguing sounding space thriller to be directed by Alfonso Cuarón (Children of Men) from a script he wrote with his 28-year-old son, Jonás. The reason I mentioned Moon in the title is that, like Sam Rockwell in Duncan Jones lovely piece of sci-fi, Jolie would be alone on-screen for much of the movie, playing the sole surviving human member of a space mission, desperately trying to return home to Earth and her daughter. /Film also mention Jolie would be playing the daughter, which is again similar to Moon with the main actor playing two parts. If that is true that would suggest the main character has been in suspended animation or travelled at almost light speed and the time dilation doo-dad effect means her daughter has aged. I never really thought a sequel to Wanted was needed so not too bothered about that. Gravity sounds like a worthy move on Jolie’s part. Will give her a chance to act a bit more and Children of Men was stunning with a great look so Cuarón should make something great with this. Terri Tatchell is the screenwriter of Neill Blomkamp’s District 9 – they’re also a couple which is cool. Terri has been nominated for a Best Adapted Screenplay for this years Oscars. She chatted to io9 about that, Moon and the film she is working on next. She was disappointed about Sharlto Copley (star of District 9) not being nominated, but also a certain film by Duncan Jones. I was disappointed about Moon. I loved Moon. 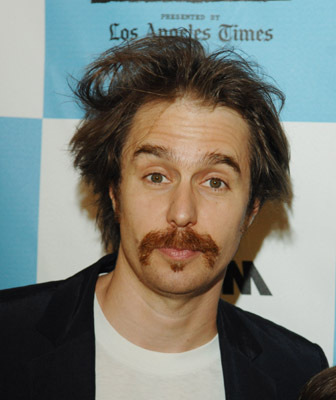 I thought Sam Rockwell was amazing in Moon. That one I’m definitely disappointed in. Avatar is definitely dominating everything, and it was an incredible film, very visually so. Star Trek was great. The Hurt Locker. I absolutely loved. That’s not scifi, but that deserves to be up there. I liked the Hurt Locker so much that I got halfway home from the theater and I realized I left my purse in the theater. That’s a compliment, that’s when you know you enjoyed a film. But yes, for science fiction specifically, I have to say I was disappointed Moon wasn’t included. Her next film she is working on sounds very intriguing and the short she mentions is below. The film I’m working on now is an adaptation of a short film called Terminus. It’s a bit more science fiction, fantasy. It’s about a stone creature that follows this stressed-out guy around, just stressing him more and more. It was incredibly well received, and the director that created it, [Trevor Cawood] hasn’t done a feature yet, and he’s really talented. I approached him about writing a feature script of that. It’s been a little more challenging than I expected it to be. I’m probably on my second draft now. I’m not ready to send it off yet, but we’ll see. Not sure how they can turn this into a feature, but I do like the short film. Based on the 90’s Italian drama ‘Stanno tutti bene’, writer-director Kirk Jones brings ‘Everybody’s Fine’ to the big screen, showing that De Niro is undeniably back – and in my opinion, on top form. 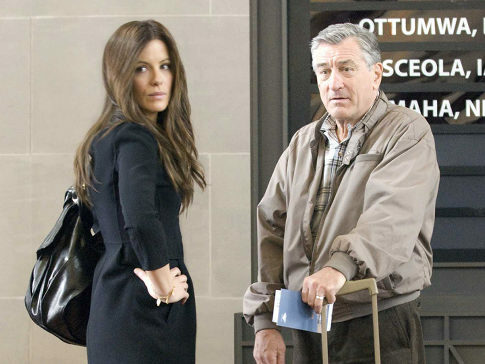 The story follows Robert De Niro’s character Frank, a recently widowed pensioner who, unbeknownst to him, has become distant with his four children – three of which are played by Hollywood hot-shots Drew Barrymore, Kate Beckinsale and Sam Rockwell. To connect these broken bonds, Frank decides to travel across America – disregarding his illness – to surprise each of his grown children and hopefully bring them back for a classic family Christmas. To his surprise, Frank’s children aren’t as ‘perfect’ as he always had hoped and expected. The story of a disconnected parent(s) has been done many times before, and sometimes arguably better, but nobody can disagree that Jones’ writing is without wit or heart. Following De Niro’s character around America – something in which Frank has never done, thus giving him a somewhat child-like sense of adventure, is both entertaining and touching. Jones successfully emphasises this vulnerable character due to the situations we find him in and, overall, the truths we uncover about his children and their mysterious lives. And of course, De Niro himself helps bring this character to life. His performance is nothing short of terrific. He truly makes Frank incredibly easy to relate to and to feel sympathy for, which, therefore, makes it much easier to enjoy the chemistry he has between his on-screen children – Drew Barrymore, mainly. Although their appearances are short, and have little script to work with, Barrymore, Beckinsale and Rockwell all bring something to their characters. A certain charisma which makes each one as likable as the next, which fits perfectly with De Niro. You could argue that Jones didn’t expand the relationship enough between Frank and his children, but the feeling of disconnection had to be felt even with the audience. Although ‘Everybody’s Fine’ is written with care and passion, I can’t help but feel cheated with it’s predictably melodramatic finale. Too many films of it’s kind have ended leaving you feeling nostalgic and overly depressed. However, it did stay with me long after the credits began to roll. In conclusion, ‘Everybody’s Fine’ left me pleasantly surprised. It’s definitely not perfect – the dream sequence towards to end of the feature became tedious instantly -, but Jones has written something so beautifully told and superbly acted that it’s hard not to like. Some may call it cliché and overly sensitive, I call it a touching and powerful dram-edy. Made completely worthwhile by the genuine performances and surprisingly stunning cinematography, ‘Everybody’s Fine’ is a film I can definitely recommend. Through a unique collaboration between Marvel Studios and Columbia Records, AC/DC’s music will be featured in Marvel Studios’ Iron Man 2, the sequel to the 2008 blockbuster film. In addition, Columbia Records will release the album AC/DC: Iron Man 2 on Monday, April 19, 2010. AC/DC: Iron Man 2, features 15 classic AC/DC songs selected from ten of the band’s studio albums, ranging from 1976 to 2008. The complete track listing can be found below. The debut video from AC/DC: Iron Man 2 is the AC/DC’s classic album cut “Shoot To Thrill,” which was filmed live last month in Buenos Aires during the band’s highly acclaimed Black Ice World Tour, the second highest grossing world tour of 2009 according to concert industry trade publication Pollstar. 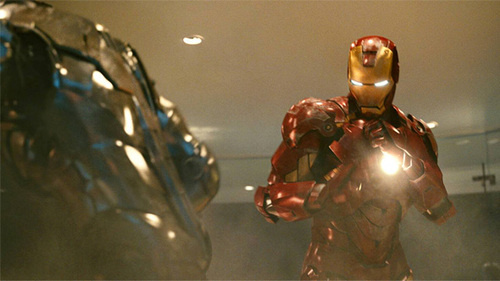 The video also incorporates exclusive footage from Iron Man 2 and debuts today worldwide. Check ACDC.com and Marvel.com for more information. “Shoot To Thrill” was originally recorded for the band’s 50-million selling album Back In Black, one of the best selling albums of all time. “Music is an integral part of the Tony Stark and Iron Man experience, and we are pleased that Columbia and AC/DC are taking part in the franchise’s phenomenon. Through this relationship, the band is delivering fans supercharged Iron Man branded music through all our combined consumer touch points, from the movie to retail outlets and even virally with the debut of the new video,” said Tim Connors, Chief Operating Officer, Marvel Studios. Jon Favreau returns to direct Iron Man 2, with Robert Downey Jr. reprising his starring role as the larger-than-life leading character, along with Gwyneth Paltrow, Don Cheadle, Scarlett Johansson, Sam Rockwell, Mickey Rourke and Samuel L. Jackson. 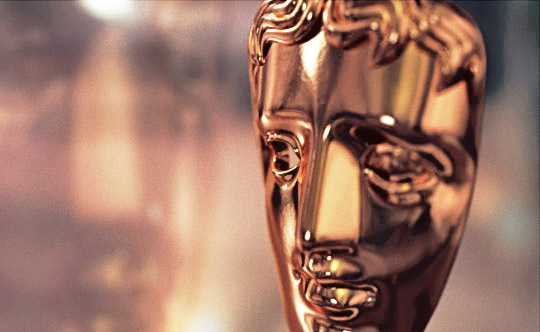 The nominations are out for The British Academy of Film and Television Arts 2010 awards. Not really anything that surprising and I think Avatar will clean up, although An Education may do quite well (although I didn’t actually enjoy it). Avatar, The Hurt Locker and An Education each have 8 nominations. I’ve put my thoughts on who I think will win after each one. Have a look at the nominations and let me know what you think. Who will win? Who should have been nominated? It think this one will be a close run battle between Avatar and The Hurt Locker. Hopefully The Hurt Locker will take it. Jeff Bridges won a Golden Globe for his performance in Crazy Heart. However, as it is a British Award it could be between Firth and Serkis. Probably Firth, but as Serkis is playing a real person who had a disability and he sings I’m going with him. I would have liked Sam Rockwell to have been in the nominations as his performance in Moon is the best I’ve seen in a long time. It will probably be Carey Mulligan and, even though I didn’t like the film, she did do a cracking job. My personal choice would be Audrey Tautou. It’s a bingo! Christoph Waltz has got to win that one. I haven’t seen any of those films unfortunately, but I call Mo’Nique. Moon should win, but I reckon the BAFTA will go to An Education. Again I am going to have to go with Duncan Jones for Moon. Just a fantastic film. Like Best Picture I think it will be The Hurt Locker or Avatar. Hopefully whichever one that doesn’t get best picture should get it. My personal choice would be either Neill Blomkamp or Quentin Tarantino. It would be good if The Road won this one, but Avatar is bound to pick this one up. Doctor Parnassus should get this one, but Avatar will probably be the winner. Out of those Star Trek had the best sound. A good mix of stuff from the original series and a massive soundscape to go with the visual effects. A great documentary on the Blu-Ray covers how they made many of the sounds. This one has got to go to Avatar.